Women's Luxury Fashion in the International & Indian Scenario. Forbes 2018 World’s Billionaires List includes a total of 256 women billionaires which has Eight Indian women. Though most women at the top of the list have inherited their fortunes, some are self-made. 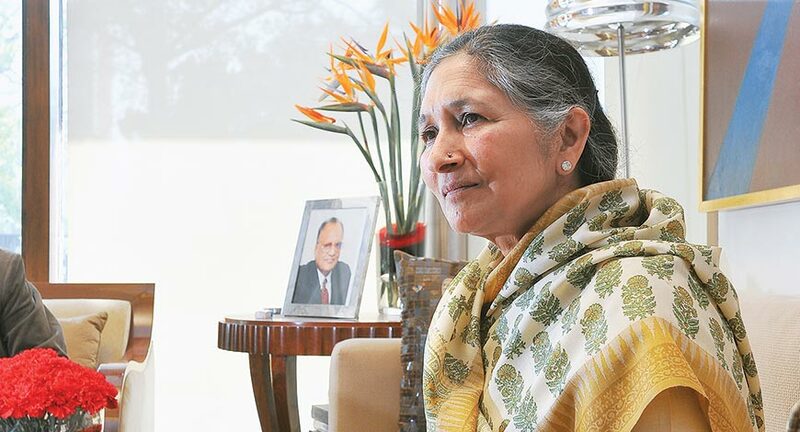 Savitri Jindal and family is the richest with a fortune of $8.8 billion. She is ranked 176th globally. Biocon chief Kiran Mazumdar-Shaw is the second richest Indian woman. She is India’s richest self-made woman. Biocon makes a range of generics to treat autoimmune diseases, diabetes and cancer. Smita Crishna-Godrej is at 822nd place with a net worth of $2.9 billion and Leena Tewari, who chairs the privately held USV India, is at 1,020th rank with a fortune of $2.4 billion. USV specializes in diabetic and cardiovascular drugs, with a portfolio that spans biosimilar drugs, injectables and active pharmaceutical ingredients. Anu Aga is the sixth richest Indian woman on the list, ranked 1,650th with a net worth of $1.4 billion. Forbes said “after a two year hiatus, Anu Aga regained her billionaire status on a jump in shares of engineering firm Thermax, in which she owns 62%”. Sheela Gautam, who set up Sheela Foam in 1971, best known for its Sleepwell brand of mattresses, was ranked at the 1,999th place with a fortune of $1.1 billion, while newcomer Madhu Kapur, who got her fortune from a 9.3% stake in BSE-listed Yes Bank Ltd too was ranked 1,999th with a net worth of $1.1 billion. Globally, Alice Walton, the only daughter of Walmart Inc. founder Sam Walton, was the richest women billionaire with a net worth of $46 billion on the global list.